About three years ago began the takeover of the gluten-free diet. It seemed that everyone, including myself, assumed they were allergic to the protein found in wheat, barley, and rye and grocery stores began to stock up on low in gluten and high in price foods. Anecdotes from celebrities took over the media, claiming they felt so good and lost so much weight by cutting gluten from their diets. As we learned in class, anecdotes can lead to research of a topic, but do not serve as proof. It seemed this was the way to go to be healthy until doctors said it was not. 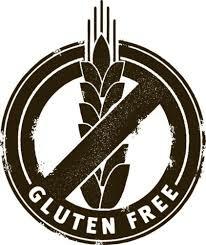 Very quickly, if you said you were gluten free but did not have the disease that made you gluten intolerant, people were quick to tell you that was no longer the healthy way to live. So why do people go gluten free diet? 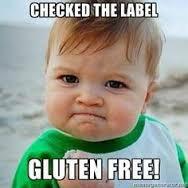 A gluten-free diet is used to treat a genetic disease called Celiac. Celiac is an abnormal immune response to gluten where the body’s small intestine is damaged by the protein and can result in many nutritional deficiencies. Some of the symptoms reported by the Celiac Disease Foundation include diarrhea, vomiting, abdominal pain, fatigue, and irritable moods. Harvard Health Publications claimed that 50 milligrams of the protein, about the size of a crouton, is enough to make someone with celiac very sick. Personally, I became aware of this disease when my best friend has diagnosed with it three years ago. She began to experience incredibly painful stomachaches every time she ate to the point where she would refuse to eat anything. The doctors took a long time to diagnose her as the test for celiac use to be a process of elimination of other diseases. Today, however, they can do a blood test and a biopsy of the intestine. My friend was found to be extremely allergic to gluten. Now when she goes to a restaurant, she has to ask that any of her food not only be without gluten but also cooked on a pan covered in tinfoil so as to not ingest any gluten from other meals cooked on the same pan. This anecdote suggests how a gluten-free diet is necessary and good for someone with Celiac. WebMD reports that there are several clinical trials testing drugs to treat the disease and research is being done to for a potential vaccine. 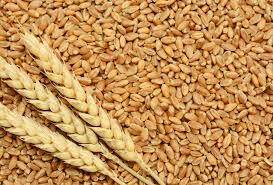 For now, however, those with celiac must simply cut out the wheat, barley, and rye. But what about people who are not gluten intolerant? Because of its exclusion of carbohydrates, the gluten-free diet began to be adopted for weight-loss purposes and those who had no gluten intolerance were all of a sudden cutting it out of their diet. That meant no more beer, donuts, bagels, or soy sauce (yes soy sauce has wheat in it). No longer eating these unhealthy carbs could in fact boost you energy levels and make you lose weight. After hearing about how good my friend felt, I too decided to go gluten free and was so for about six months. The results? Nothing. I replaced Oreos with gluten free Oreos and cut out healthy carbs and grains. This is exactly what doctors are now warning against. By cutting gluten from your diet, you can experience nutritional deficiencies such as a lack of vitamin B found in bread and cereals. Excluding whole wheat means cutting out an already low fiber intake as Americans typically already consume less fiber than recommended. If you do not have Celiac but want to go gluten-free, I believe it can be an effective diet if done properly. I replaced cookies with gluten-free cookies and considered myself healthy when in reality, I was just keeping healthy nutrients from myself. If you go on this diet and it forces you to cut the bad carbs and replace good carbs with healthy substitutes such as rice and quinoa, then I could see it having a beneficial effect for weight loss. The gluten-free diet’s bad rap for those not affected by Celiac comes when people are uninformed about the correct approach for the diet. This entry was posted in Uncategorized on October 17, 2016 by Shannon Hughes. Like your friend who has serious celiac disease, my little cousin does as well. He was diagnosed 3 years ago (he is currently 10). For the longest time my aunt and uncle couldn’t figure out what was wrong with him. He wasn’t growing and would get the worst stomach aches and at times even broke out in hives. Finally they determined he had serious celiac disease. Every time we go to restaraunts or even just eating in the house we have to be really careful as to what pans and stuff he eats out of also, like your friend. Also, I never understood why people would go on gluten free diets to lose weight so it was interesting to read your blog post! You might want to check out this article, http://www.jillianmichaels.com/fit/lose-weight/myth-gluten-free.